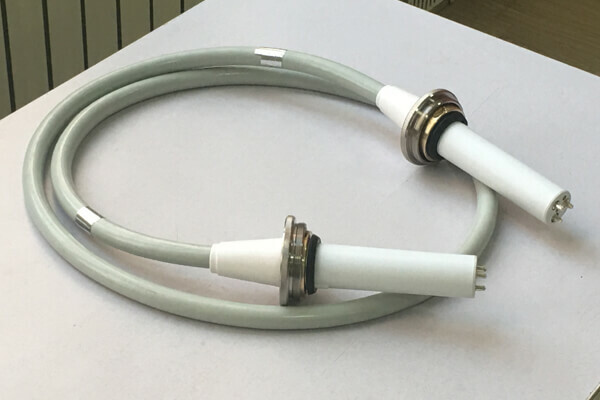 X-ray machine with high voltage cable has various specifications of cable head and length matching.Cable with 3 or 4 cores, connecting end is divided into straight or curved cable, movable flange and contact. Cable accessories, flanges, insulation grease, contacts, short joints and other cable accessories complete. X-ray machine with high voltage cable has such features as good flexibility, low noise, good high-voltage characteristic and safety margin. The conductor has good resistance to bending and high softness. Avoid electromagnetic crosstalk of transmission signals; Good effect on electromagnetic interference shielding outside the cable itself. It has many excellent properties, such as soft and wear resistance, hydrolysis resistance, anti-bacteria, anti-adhesion and anti-ultraviolet, which improves the service life of the cable under harsh environment.The elasticity of the jacket of X-ray machine with high voltage cable has an excellent protective effect on the internal structure. The Newheek X-ray machine with high voltage cable is divided into 75KV and 90KV. Newheek can also provide customized length and inspection and maintenance service.